This is a breaking story today… Although he wasn’t physically present in the group Slum Village for sometime; they actually reunited with Baatin and were planning on a full album release this year. We haven’t mentioned too many of recent deaths this past year; but this is another hard blow for Indie Hip Hop. Many condolences go out to Baatin’s close ones. Baatin, a Detroit rapper and member of Detroit rap collective Slum Village, has died. Tim Maynor, tour manager for Slum Village, confirmed his death in an e-mail to MLive. News of Baatin’s death spread virally around noon Saturday. A cause of death is not known. Baatin told the Metro Times that he struggled with several emotional problems. He left a European tour in 2003 to rest, but later asked to be released from the group. Slum Village, now a duo, continued to perform. During a show at the State Theatre in Detroit, Baatin demanded to be on stage. He was arrested and jailed; after that, he was evicted from his apartment that he says was being paid for by his record label. In 2004, Baatin was diagnosed with schizophrenia, bipolar disorder and depression; he later developed a crack habit, living homeless for more than a year. A European promoter offered Baatin a chance to revitalize his career with some shows overseas. Baatin accepted, cleaned up and began work on a solo album. 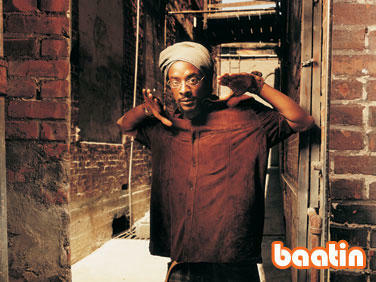 Baatin also reunited with T3 and Elzhi, and a new album, “Villa Manifesto,” was scheduled to be released September 22. The first single, “Cloud 9” features Floetry’s Marsha Ambrosious. Previous PostElmer Fudd Would Be ProudNext PostJoystick Madness!